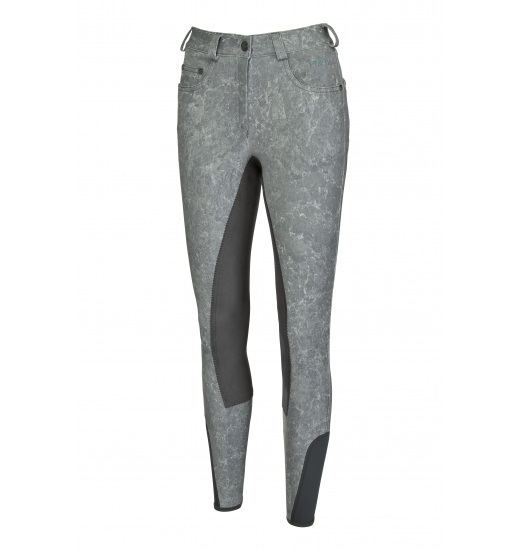 Comfortable ladies' breeches made of the highest quality elastic material with a print resembling marble. Their 3/4 Mc Crown grip provides excellent adhesion to the saddle. There are two big pockets and one small on the front. 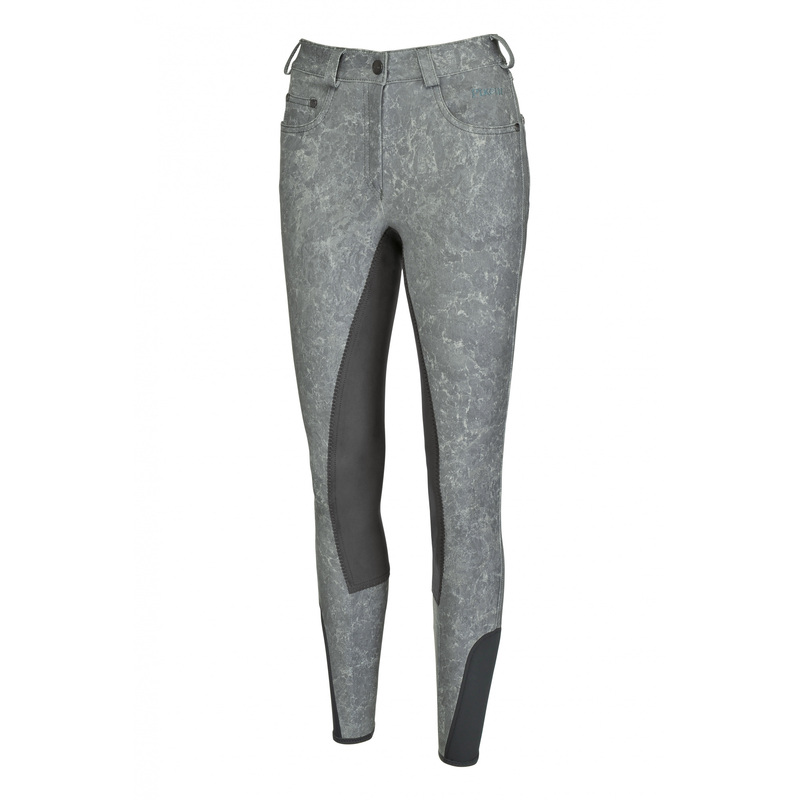 For perfect fit the legs are trimmed with elastic inserts. Material: 66% cotton, 28% polyamide, 6% elastin.